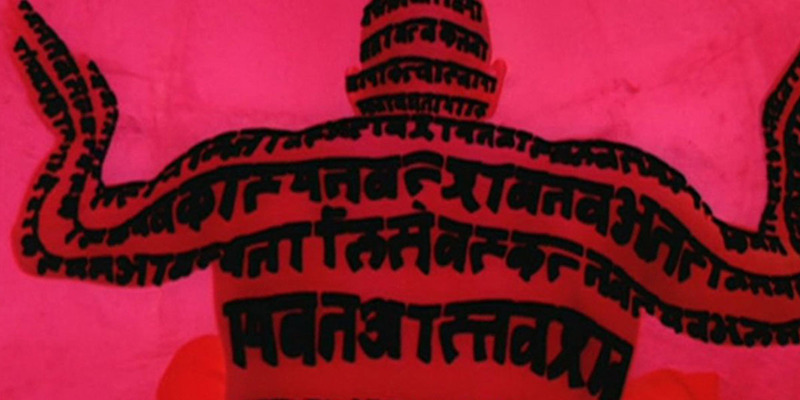 Tonight we present Triple Trip, featuring three strong doses of psychedelic cinema. First up: Alejandro Jodorowsky's legendary headtrip The Holy Mountain (1973). Next: Terry Gilliam's anarchic adaptation of Hunter Thompson's gonzo classic Fear and Loathing in Las Vegas (1998). Finally, just after midnight, a free screening of the hallucinatory kung-fu freakout The Boxer's Omen (1983). Hong Kong's prolific Shaw Brothers studio churned out dozens of beloved kung fu classics, but The Boxer's Omen, one of their few forays into the horror genre is a true original. Simply put, it's one of the weirdest and wildest movies ever made. A Chinese boxer travels to Thailand and stumbles upon a mysterious Buddhist temple where he becomes a monk and gets enlisted in a truly epic battle with the forces of evil. Witchcraft collides with Buddhist mysticism in an onslaught of killer bats, crocodiles, spiders and statues come to life. Delightfully surreal and outrageously gory, The Boxer's Omen is cinema as drug trip—the kung fu freakout Jodorowsky never made. Watch the trailer. Directed by Chih-Hung Kuei, 1983, Hong Kong, 104 minutes. In Mandarin w/ English subtitles. The Holy Mountain & Fear and Loathing in Las Vegas are separately ticketed at €5 each. The Boxer's Omen is free! Inside the OT301 arts building, on the 2nd floor. Directly across from the Jan Pieter Heijestraat stop for tram #1. Cinema of the Dam’d is a bar, cinema & gathering place, located on the 2nd floor of the OT301 arts collective which is the site of the former film academy. See event listings for opening times.